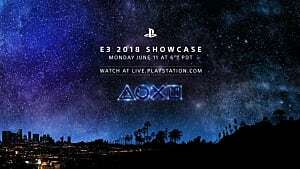 So last month all gamers waited in anticipation for the E3 Press Conferences to show and wow us with what they have cooking for their audience. This year E3 had some solid presentations among its press conferences but also some cringe moments along the way. So basically it was the normal air and fare for E3. Naturally, from forums to the live Twitch chat, there always seems to be a tremendous amount of competition between gamers who prefer different consoles. Sometimes it’s nice to see fellow gamers sticking up for their preferred systems but more often than not there are forms of bias, harsh words and annoying spammers present as well. For this set of E3 Evaluations, the plan is to comment and judge on the content and overall tone of the press conferences. 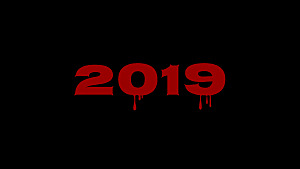 Did they impress gamers and give their loyal fans something to look forward to or did they drop the ball this year? We finally come to the last, but certainly not least, with Sony’s presentation. 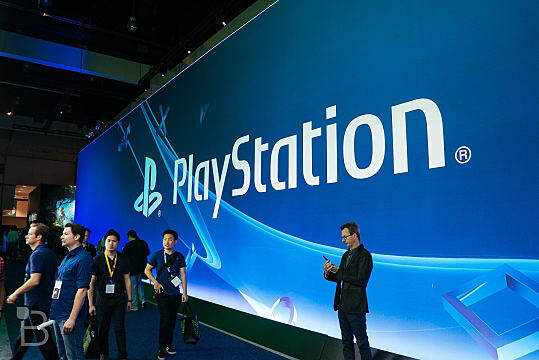 Did Sony end E3’s set of conferences’ on a high note or did it leave much to be desired? Sony set their own unique tone by starting up with a full orchestra. 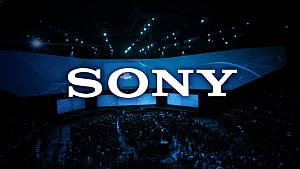 An orchestra which provided background music for most of the trailers and introductions which is saying a lot as Sony’s conference was almost non-stop back to back trailers and reveals. It was nice to see Sony deviating from the usual E3 conference formula of trailer followed by a speech and cutting straight to what their fans want to see. The orchestral prelude might have gone a bit longer than was necessary but it still seemed epic in scope. The epic music was the perfect setup for the next God of War game. The reveal was a big surprise to the audience who audibly gasped at the appearance of an older Kratos in a new environment with enemies from Norse Mythology. Not much was revealed about whether the player will be Kratos for the entire game or if the boy, apparently Kratos’s son, featured in the trailer might be playable as well. Safe to say that God of War seems to be a “new beginning” for the series with a smooth new look in a brand new world. Following right on God of War’s heels was The Last Guardian, which finally revealed that it would be hitting store shelves on October 25th. The trailer also showed off that Trico, the friendly griffin-like creature, isn’t the only one of his kind. After The Last Guardian was a very lengthy gameplay session of Zero Dawn: Horizon. The game looks gorgeous, and its environment appears as a unique mesh of post-apocalyptic meets Far Cry Primal. Aloy, our heroine, proved herself to be a skilled hunter and fighter as she fought the mysterious “Corrupted” with a variety of unique weapons and traps. The game also seems to incorporate a dialogue wheel when Aloy talks to NPCs. Personally, it reminded me of the dialogue setup found in Dragon Age and Mass Effect. Here’s to hoping that Aloy gets to make important and divergent choices like the heroes of Bioware. Sony showed off some interesting selections with their VR games as well as the release date of PS VR on October 13th. All of the games appealed to their fans’ inner nerd with games like Star Wars Battlefront: X-Wing VR and Batman Arkham VR where gamers can “wear the cowl”. They also showed off Farpoint which seems to be a 1st person space survival game which looked beautiful despite all the apparent dangers in the unknown, but hostile, environment. The VR experience connected with “Play as Prompto” from Final Fantasy XV seemed interesting but more difficult to wrap my head around. Resident Evil 7’s gameplay looked interesting, and it appears to be a good match for VR with its terrifying atmosphere. For the most part, Sony’s line up for VR was surprising and decently solid. When Shawn Layden came out to the theme of Crash Bandicoot, a few audience members seemed to become a little more focused on the conference. When he announced that Crash Bandicoot, Crash 2 and Crash Warped were being fully remastered from the ground up for PS4 the audience’s loud cheers gave a strong confirmation that the Sony audience is ready for Crash again. With all of Sony’s new exclusives and VR, it’s nice to see a good respect for the classics from Sony’s humble beginnings. In the latter half of the conference, there were some really big surprises that dazzled the audience. 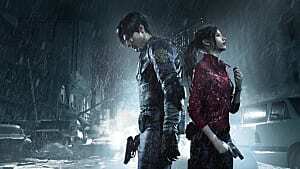 Hideo Kojima, the creator of the Metal Gear series, has had a rough year with the strenuous events between him and Konami. However, his entrance during the Sony conference was nothing short of magical. After his flashy arrival, Kojima announced the next game he is working on is Death Stranding. The game appears to feature Norman Reedus, and the trailer oozed with the bizarre yet gorgeous tone that Kojima is known for. 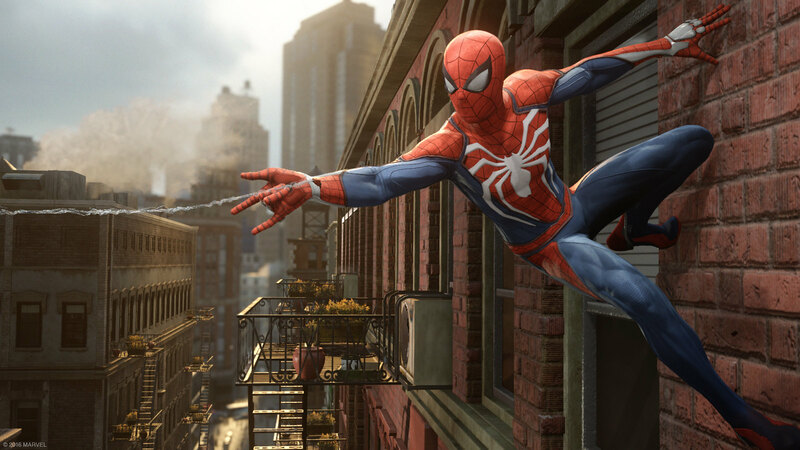 A Spiderman game swooped in much to many fans surprise. 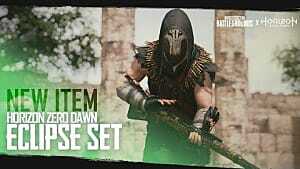 It is going to be developed by Insomniac Games, the minds behind the Ratchet and Clank series. The trailer was short but from what was shown New York seems bright and colorful and the web-slinging looks similar to the system used in Spider Man 2 aka a whole lot of fun. It appears that the iconic Yuri Lowenthal will voice Peter Parker/Spiderman. Personally, any game that uses the web-slinging physics from Spiderman 2 is a welcome addition to the PS4. 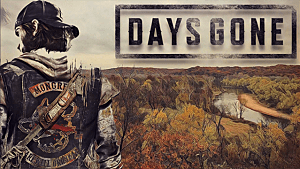 Sony’s ended their conference with a new game, Days Gone. 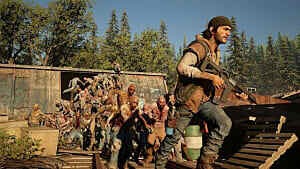 The gameplay shown had an environment and tone similar to The Last of Us with a post-apocalyptic vibe and emphasis on survival. 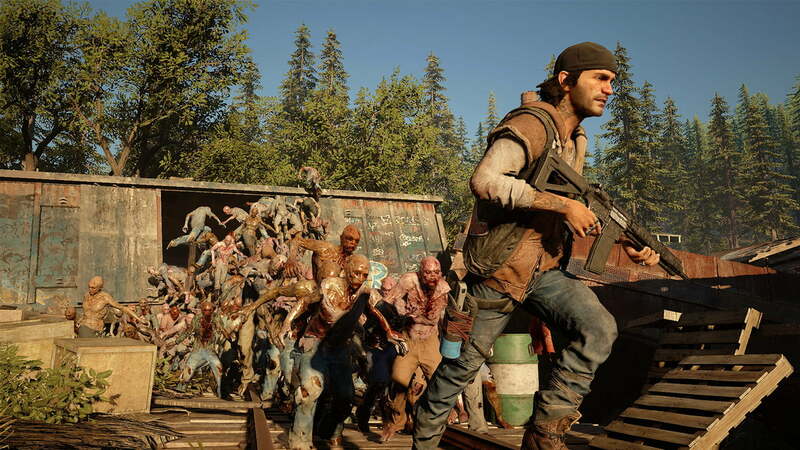 Days Gone, like The Last of Us, also has zombie-like enemies but SIE Bend Studio’s version of the undead seem to move with a horde like a mentality similar to the zombies from the film World War Z. The trailer ended on a note that lacked any “oomph” that the ideal last trailer of an E3 conference should have. It wasn’t bad, but it wasn’t the best way to end your conference especially after a solid lineup preceding it. Like Microsoft, Sony covered a lot of ground in their conference. They released game after game, many of which were surprises to their live audience and those online streaming the conference. Sony gave its fans back to back trailers and reveals without any of the sometimes pace-killing and awkward speeches in between. The live orchestra was amazing and added a unique sense of style to the conference, and Sony just kept on moving forward with game after game. The conference wasn’t flawless. Like all E3 conferences it had some low points where the excitement died down like when it showed a trailer for Skylanders or Lego Star Wars Episode VIII. These moments were few though and didn’t take away that much from the overall presentation. As usual Sony and Microsoft were neck and neck this year with the quality of their conferences. Of the two I’d have to say that Sony gets the A-. 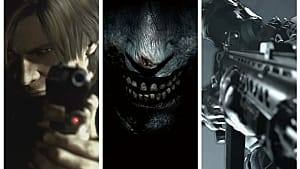 Microsoft played it safe with their games, with series they are known for, and their overall presentation didn’t deviate from previous year’s exhibitions. Sony’s conference was fast paced and took a chance at being different, and it paid off. And that’s all of the E3 Conferences of 2016, do you agree with my evaluations? Any comments or arguments? 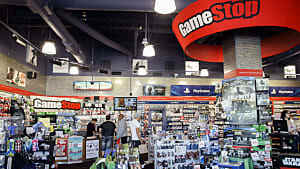 If so, please leave a comment and stay tuned to Gameskinny for more gaming news. If you want to see the conference yourself, you can check it out on YouTube.